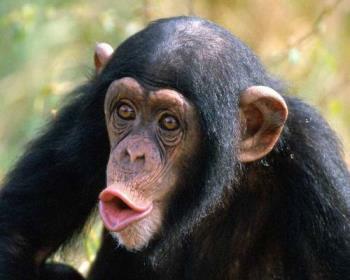 I always dreamed to have a chimpanzee since I was little and saw Tarzan and Jane movies with their chimpanzee. I have read that Cheeta, is still alive as of 2008 at the age of 76. He is the oldest known chimpanzee in the world. They can live up to 40 years in the wild and sixty in captivity. They are fun to watch.